If you know what nettles are then you probably think eating these stinging plants is crazy. Yes one would be very crazy to eat a stinging nettle that has just been picked from the ground and it’s a guarantee ones tongue would be painfully swollen also. There is however a traditional Irish dish that turns these highly stinging nettles into a lovely soup, nettle soup to be precise. First collect fresh nettle tops to be added to the soup. We highly recommend collecting nettles deep in the countryside, the further away from vehicle traffic the better. Like most of our meals there are many variations of for the potato soup recipe as most of us tend to use our imagination when it comes to cooking. We suggest trying the below soup recipe and even attempt to create your own variation of this great tasting soup. Melt the butter in a pan and fry the oatmeal until golden, stirring continuously. Add the nettles and seasoning. Reduce the heat and simmer for 40 minutes until tender and well blended. Puree in a blender and return to the heat before serving. Serve with chunks of fresh crusty bread. Is nettle soup a traditional Irish dish? The recipe for nettle soup can be found all over the world and although the exact origins is unknown it would have been a very popular soup dish in Ireland for at least a couple of hundred years. Ireland has no shortage of wild nettles growing all over the island and with this soup being basic and very easy to cook it was a perfect dish for those with little to survive on. 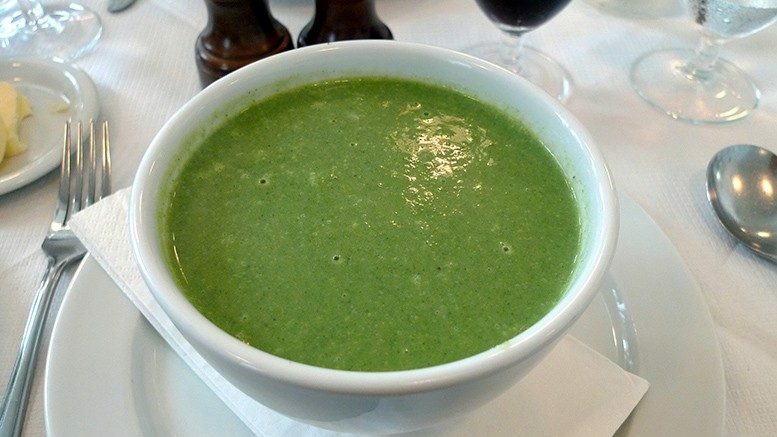 There are many variations of the nettle soup recipe and will be different for many homes in Ireland, those of who actually still make this dish. The above recipe would have been a popular way of cooking nettle soup or even adding a few potatoes would have been also.